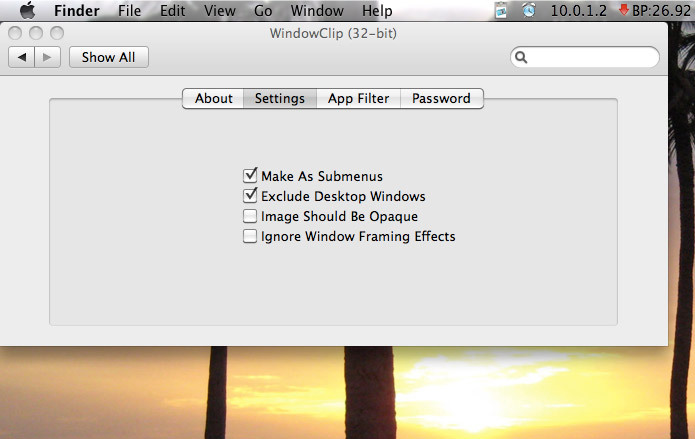 WindowClipMBI is a Mac menu bar application to create clipboard snapshots of the windows on your Mac in any application, for any application. To use: Install and run the application. 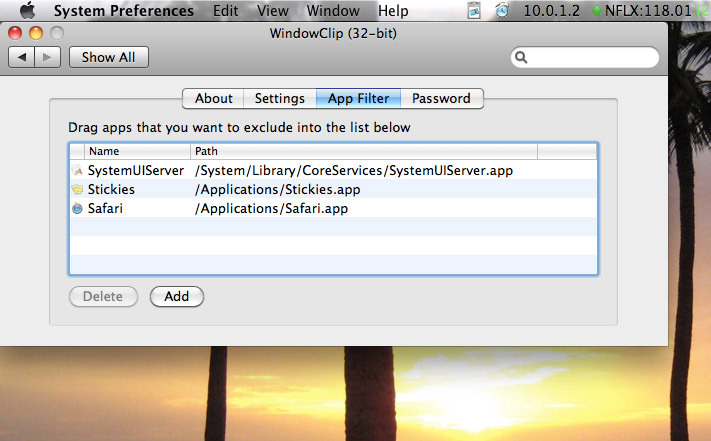 Click on the menu bar icon for WindowClipMBI to display its menu. 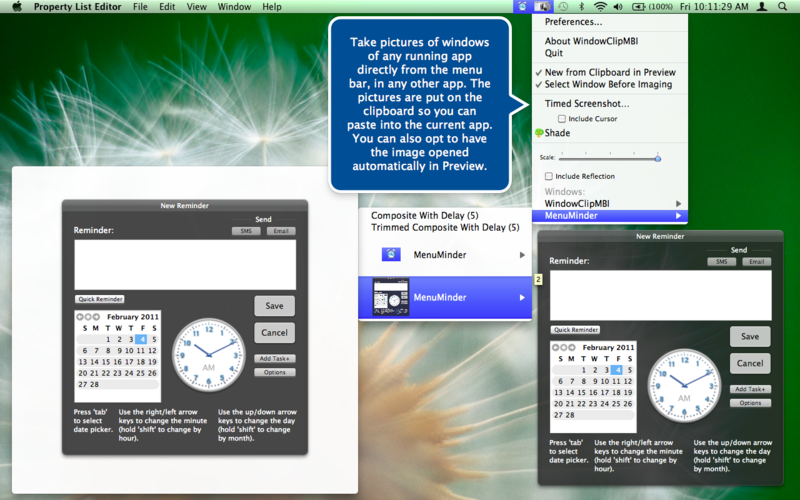 The menu shows the windows currently displayed by your Mac. 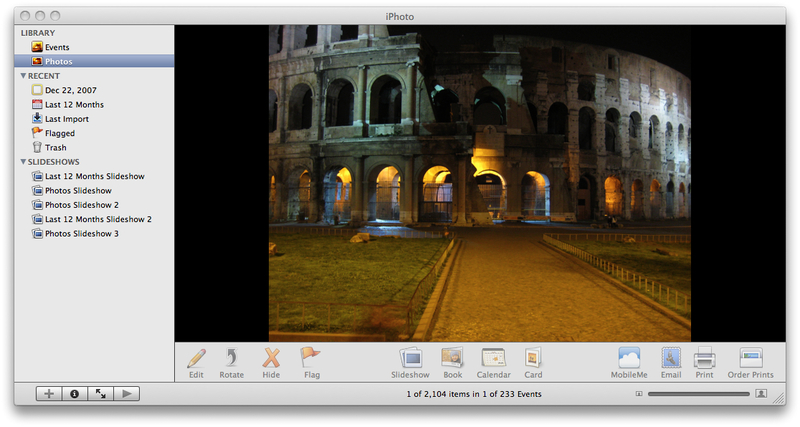 Make a menu selection corresponding to the window you want to take a snapshot of. 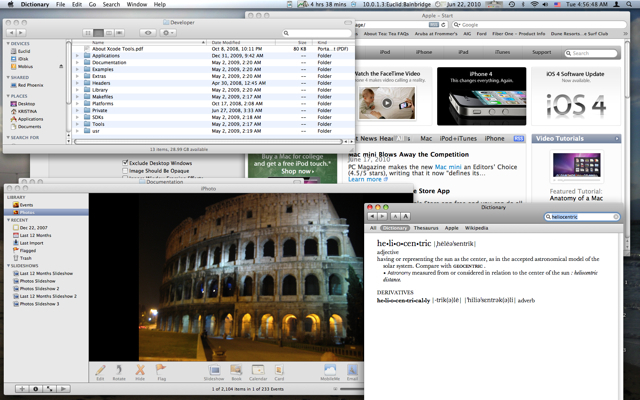 The image of the window is put on the clipboard, signaled by the harp sound. 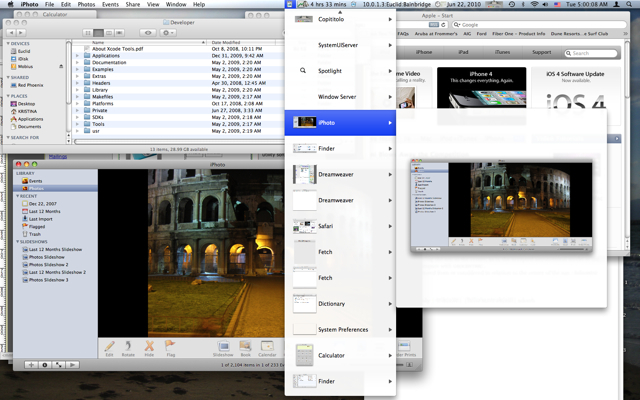 Available Options: include Desktop windows, ignore framing effects like shadows, and creating an opaque image.